Check your MYHSSU app for your Virtual ID. Now available to all students. ISSUE: I want to view my courses, how do I access them? RESOLUTION: You can access your courses by logging into MYHSSU and clicking on the My Courses link. A quick-start guide is available under the Student tab in MYHSSU. ISSUE: I see that I have an "@hornets.hssu.edu" email address. How do I check my email? 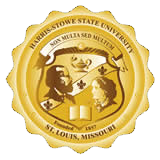 FOR GENERAL ASSISTANCE WITH TECHNOLOGY, STUDENT MAY CALL (314) 340-3327 OR EMAIL support@hornets.hssu.edu.